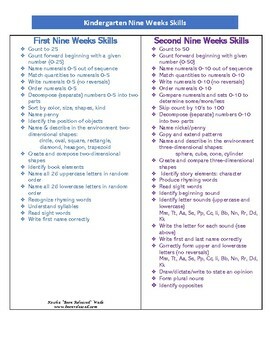 This is a brief informational table that gives a summary of kindergarten. This table shares what students should be able to do and where students should be in their learning in each of the nine weeks. 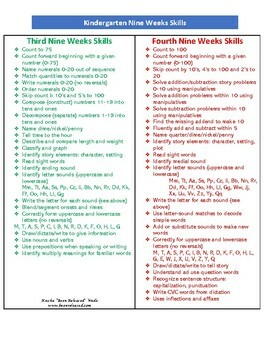 This information is great for teachers and parents that have students in Pre-K or in Kindergarten.